Description: Sealed in original box. This is from the 1930-40s era. 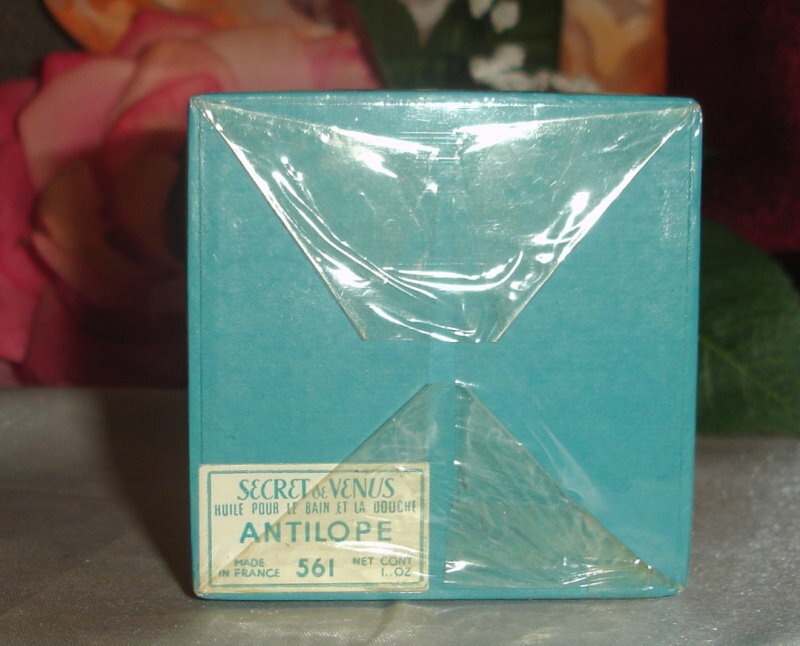 Antelope is different from Zibeline. 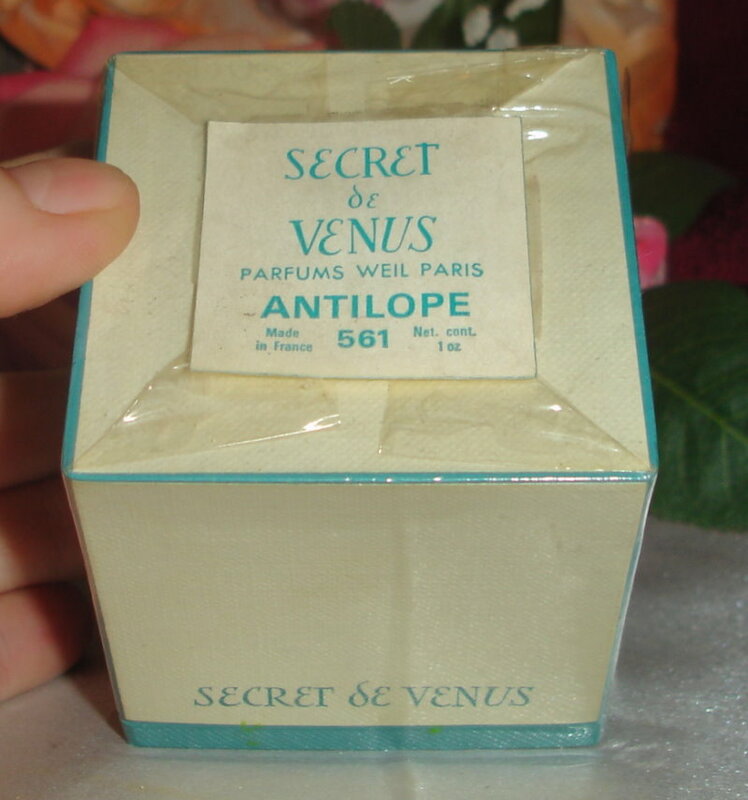 Antelope was introduced in 1946 as a floral aldehyde combination, with neroli, bergamot and aldehydes in a top. 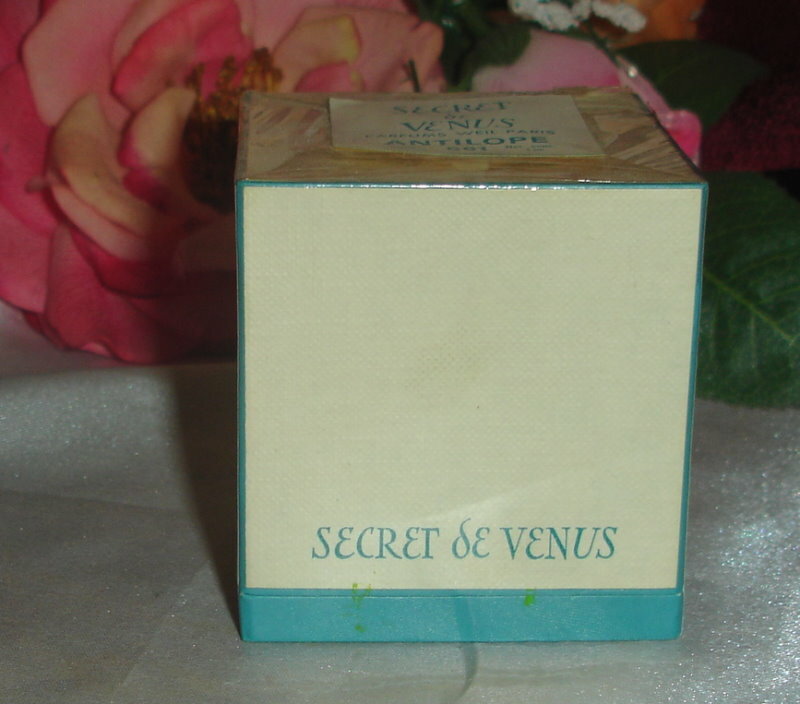 A heart encompasses clary sage, rose, lily of the valley, jasmine, carnation, iris and violet, while base notes include a woody-amber base: sandalwood, vetiver, patchouli, tonka, amber, oak moss and musk.